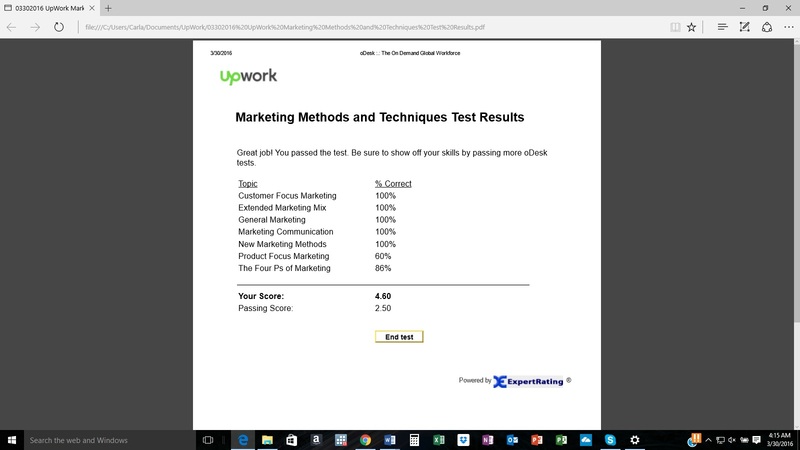 Wednesday, March 30, 2016 – I am happy to announce that my company has joined UpWork, an on-demand freelancing service. This move provides the company more opportunities for brand expansion by vying for project and business management jobs. Furthermore, Ms. Jenkins has posted a 4.6/5.0 on the Marketing Methods test. The average is 2.5. Below are her test results.